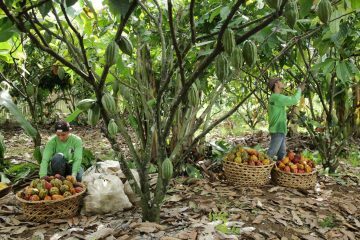 When Raquel Choa was seven years old and still living in the mountains of Balamban, Cebu, her grandmother told her the legend of Maria Cacao, which held that she lived in the mountains, her palace surrounded by cacao trees. 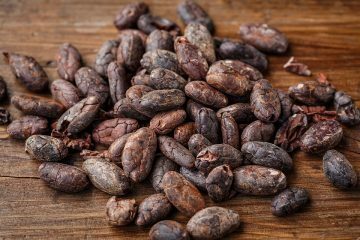 She would harvest the cacao beans and load them into her ship that would travel through the river to the open sea, where the ship would turn into gold. Raquel’s grandmother even added that Maria Cacao’s palace was located in a magical tree near their house. Raquel Choa inspecting cacao beans. “I shared during my TEDx (an international program designed to spark discussions about local experiences) talk that life in the mountains was very difficult…no electricity and we had to cross seven rivers. 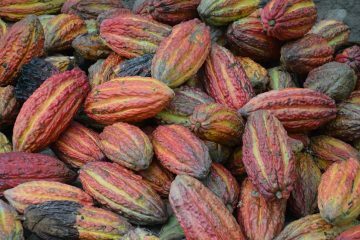 It’s quite scary but life has a way of comforting us, especially when my grandmother told us the legend of Maria Cacao,” Choa explains. Life was indeed difficult back then; her grandmother was making tablea (pure chocolate tablets) for a living. It was through their family business that her affinity for chocolate was developed, but it was not until Choa became a mother when she realized she could do more with the bittersweet produce. Acquiring the knowledge of chocolate and tablea-making skills from her lola, Choa realized how precious chocolate was. It was an Argentinian friend, who bragged about olive oil and beef, who made her think that chocolate was something Filipinos could be proud of. 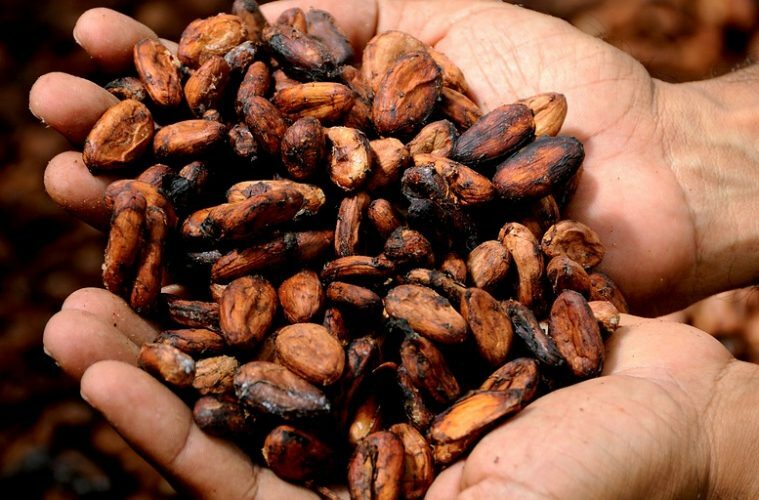 Considered a luxurious item, chocolate is one of the most sought-after products in the world. 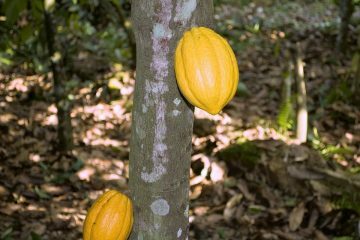 Fortunately for the Philippines, its strategic location makes it a suitable place to grow cacao—one of the few places in the world for doing so, in fact. Today, the mother of eight is the proud owner of their family’s growing chocolate business in Cebu. Known as Cebu’s “Chocolate Queen” and “Chocolate Ambassador,” she and her husband run Ralfe Gourmet, which produces artisanal chocolates from home grown cacao beans; Casa de Cacao, a venue for the famed Chocolate Appreciation Tours; and The Chocolate Chamber, a chocolate retail store. The Chocolate Chamber was one of the official stops for APEC (Asia-Pacific Economic Cooperation) and IEC (International Eucharistic Congress) delegates last year. This put the spotlight on Raquel’s business and Filipino chocolates. Her products are also distributed in luxury resorts like Amanpulo, Shangrila Mactan, and the posh members-only Manila Polo Club. She mixed chocolates in savory dishes like pasta and pizza at her restaurant. 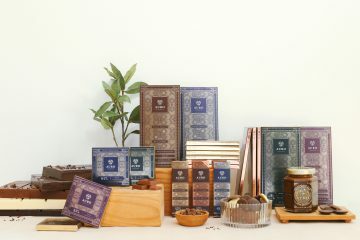 She also produces chocolate bars, pralines, and truffles, among other products. Because of her passion for chocolate, she has traveled the world talking about her love affair with chocolate; her biggest triumph so far was sharing her story at TEDxChiangMai. What’s fascinating about her story is her process of making chocolate. She doesn’t follow any international standards, just the traditions she learned and her senses. She cannot explain it but she follows her instinct and senses when processing cacao beans—from pounding them to making sikwate. Choa says that it’s like being “possessed” by Maria Cacao’s spirit. “I acquired my tablea-making skill from my grandmother but when I am making [chocolate], it’s like I am the diwata (fairy). I can’t explain it but I just feel it. It’s the same feeling that I developed when living in the mountains, knowing when the river overflows. The kind that you have a certain kindred relationship with nature. I developed it with all of my senses,” she says. But what’s for certain is that she is keeping the traditional process of tablea-making alive. While other chocolate manufacturers have adapted international processing standards, she remains true to her roots as a local chocolate “sommelier,” as a Filipino. She also wants to further help elevate Filipino chocolate, support cacao farmers, and put the Philippines on the world map of chocolate-making, which she plans to do through the Cacao de Filipinas Fellowship (CFF).